Join the Westward Ho! Beachcare team every second month of 2018 to help keep Westward Ho! 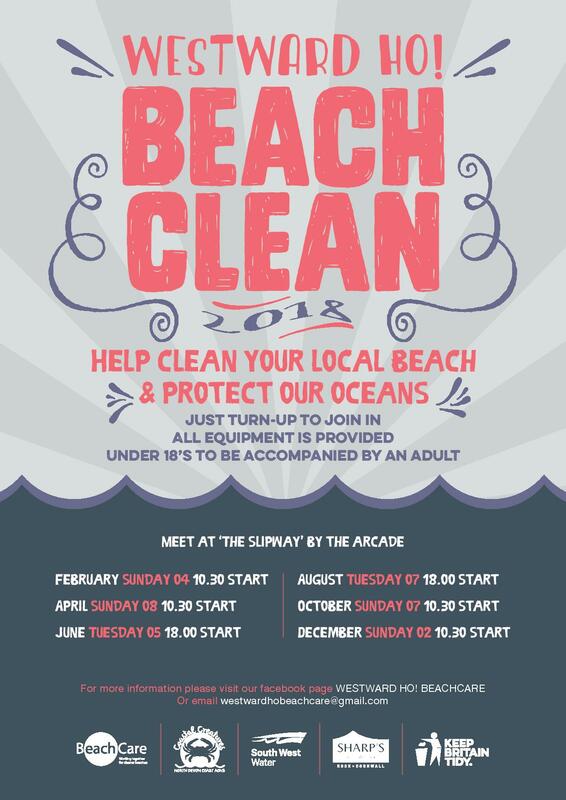 beach clean from marine litter. All equipment provided. Meet on the slipway onto the beach in the town.